Inactive status is a tricky situation that can be broken up into two groups. The first is for members who drift away from the chapter, the second is for members who fall on tough times. There are going to be members who significantly prioritize other activities over their involvement with the chapter. This problem magnifies when the member decides they don’t want to pay their dues anymore. However, they still want to be part of the chapter – at least in name only. The second group is members who genuinely cannot afford to be in the chapter. This can be a permanent or temporary situation. If it is a temporary situation, I am sure the chapter will be able to work with the member. Permanent situations are a larger problem though. In this case as well, the member does not want to lose their affiliation with the chapter. This is when the idea of inactive status comes in. Members rationalize that they can shirk their responsibility to the chapter if they don’t come around as often. The chapter rationalizes that this is all right because they don’t want to kick someone out of the chapter that they are fond of. Inactive status should be avoided at all costs. First, inactive status is just an excuse to mooch off other members. The expenses incurred for the member will be dispersed among the rest of the membership and will have a negative effect on chapter finances. Second, and more importantly, membership in a Greek organization is not a debatable topic. The pledge members made to each other during ritual states that membership is a life-long privilege and responsibility. That bond is too important to be taken lightly, and much too important to be allowed to be turned on and off. The member must decide if they are in our out. There isn’t any gray area. 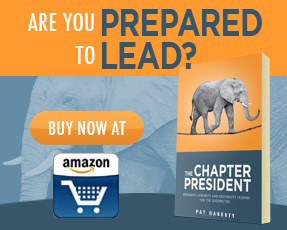 If your chapter is thinking about incorporating this into your chapter, think long and hard before you do. Think about what your chapter truly stands for, and then decide if the idea of partial membership is acceptable for your chapter. I have been inactive but longer want to be apart of this fraternity Bc we do not share the same ideas on education or values of the important of education vs fraternity life. 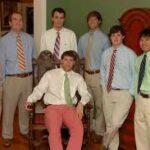 How do I totally ‘end’ my involvement with this fraternity? Will I ever be allowed or eligible to pledge a different fraternity in the futre? So if a chapter is inactive are they still allowed to be a part of fraternity events and considered a part of the entire fraternity organization? Thanks for leaving a comment. This article speaks specifically about members becoming inactive rather than the chapter as whole. I would suggest speaking to your chapter advisor about your specific questions. They will be able to give a better answer regarding your fraternity’s laws.